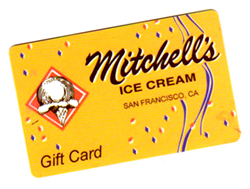 Mitchell’s Ice Cream is located at 688 San Jose Ave. (Guerrero Street) at the corner of 29th Street in San Francisco, California. Cross the Golden Gate Bridge into San Francisco. Turn left onto Lombard St. and right on Divisadero St. Go all the way down Divisadero St. This will eventually curve to the left and become Castro St. Stay on Castro St. and turn left on 18th St. 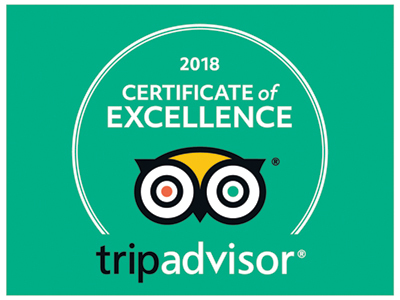 Turn right on Guerrero St., which becomes San Jose Ave. We are located on the right-hand corner of San Jose Ave. and 29th St. Our parking lot is in the back of the building on 29th St.
Take 101 North and exit Cesar Chavez St. West. Stay on Cesar Chavez St. and turn left on Guerrero St., which becomes San Jose Ave. We are located on the right-hand corner of San Jose Ave. and 29th St. Our parking lot is in the back of the building on 29th St.
Take 280 North and exit San Jose Ave. We are located on the left-hand corner of San Jose Ave. and 29th St. Our parking lot is in the back of the building on 29th St.
Take 101 South and exit Cesar Chavez St. West. Stay on Cesar Chavez St. and turn left on Guerrero St., which becomes San Jose Ave. We are located on the right-hand corner of San Jose Ave. and 29th St. Our parking lot is in the back of the building on 29th St. The 14 Mission and 49 Mission/Van Ness buses stop at the corner of Mission St. and 29th St. Walk 2 short blocks down 29th St. to San Jose Ave. We are located on the corner of San Jose Ave. and 29th St. The J Church streetcar and the 24 Divisadero stop at the corner of Dolores St. and 30th St. Walk to the next corner, which is San Jose Ave. Turn left and walk 2 blocks to 29th St. We are located on the left-hand corner of San Jose Ave. and 29th St.